25 dream holidays (worth €1,500 each) are up for grabs as part of our WorldMillions Holiday giveaway. Win the holiday of a lifetime now while betting on WorldMillions €150 million weekly jackpots! Prize draws will be made the following day, once the results are in. Players will be notified by phone and email by 6pm the same day. For every €1 bet on Thursdays World Millions draw you will receive 1 entry into the promotion prize draw the following day. For every €2 bet on Sundays World Millions draw you will receive 1 entry into the promotion prize draw the following day. The two weekly prize draws offer a total of 3 prizes in each draw. Each prize has a value of €1.500 cash. Winners will be informed via phone and email by 6pm on the day of the prize draw. 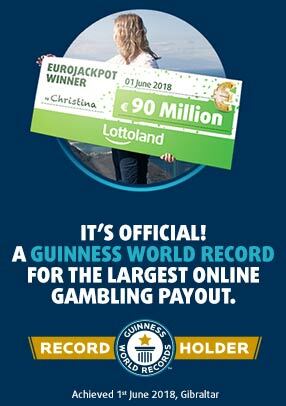 All winners will be paid in cash directly into their Lottoland accounts. It will be the player's responsibility to organise their holiday with the prize funds provided from this promotion.